SANTA ANA, Calif. – September 4, 2018– Goodwill of Orange County announced today the appointment of Nicole Suydam as president and CEO of the social enterprise organization. Suydam, who served nearly a decade as Goodwill of Orange County’s vice president of Development, has more than 20 years of management and leadership experience working with local and national nonprofits dedicated to meeting human service needs. Suydam begins with Goodwill of Orange County Oct. 15, 2018. Since 2012, Suydam has served as CEO of Second Harvest Food Bank of Orange County. Last year alone, she oversaw the distribution of more than 25 million meals to families and individuals as she guided a vast network of more than 200 community partners who collectively distribute food to those in need and work toward a shared goal of ending hunger in Orange County. Under her leadership, Second Harvest earned Charity Navigator’s 4-star rating in 2018 for the first time, the highest rating for fiscal responsibility and effectiveness. 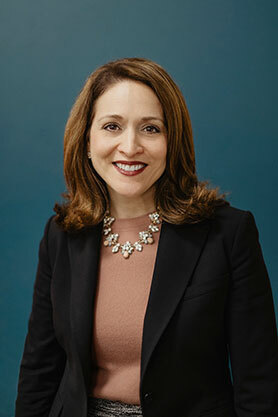 Prior to her tenure at Second Harvest, Suydam served as vice president of Development at Goodwill of Orange County. Suydam was recognized with the 2018 Women of the Year Award by the Orange County Business Journal,and in 2017 was named one of the “Top 100 Most Influential” by the Orange County Register. In addition, Suydam was named “Altruist of the Year” by Modern Luxury Orange Countyfor her tireless efforts to enhance the county and the lives of families and individuals. Suydam graduated from Vanguard University in Costa Mesa, and today serves as president of its Alumni Association Board and is a member of the university’s Board of Trustees.